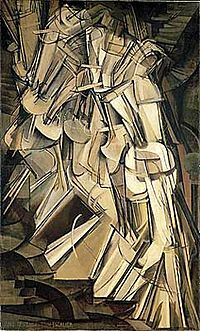 This entry was posted on April 9, 2012 at 3:48 pm and is filed under ART, ART HISTORY, ARTISTS BIRTHDAYS, PHOTOGRAPHY with tags cinematography, Eadweard Muybridge, farancis bacon, Leland Stanford, marcel duchamp, moving horse, mubridge, Muybridge, photography, thomas eakins. You can follow any responses to this entry through the RSS 2.0 feed. You can leave a response, or trackback from your own site. 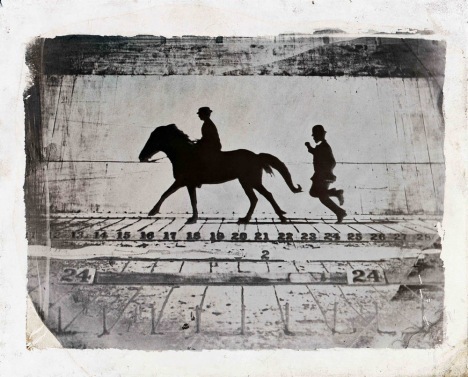 Muybridge has always been one of my fundamental inspirations, even though my own work has gone in other directions. Thank you for this post, which reminds us of those who precede. Thanks for reading Dennis:-) You have a lovely website by the way! Excellent post, Linda! I could not come up with this man’s name about two weeks ago when my son in law asked me the difference between a canter and a gallop in a horse. I told him to google the imagery and he would find film of the differences with horses moving. 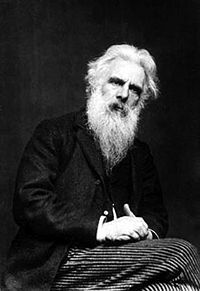 Thanks to you, I can now show him this post and we can peruse Eadweard’s site together. Thank you! You continue to teach me! I’d seen those moving images before but never realised who’d produced them. Very interesting. I do wonder what all these Victorian men might look like without those long beards.